After visiting the stunning Notre Dame Cathedral we crossed the river Seine (also known as the left bank) to the Latin Quartier, if you are arriving via the metro simply stop at the ‘St Michel’ stop. 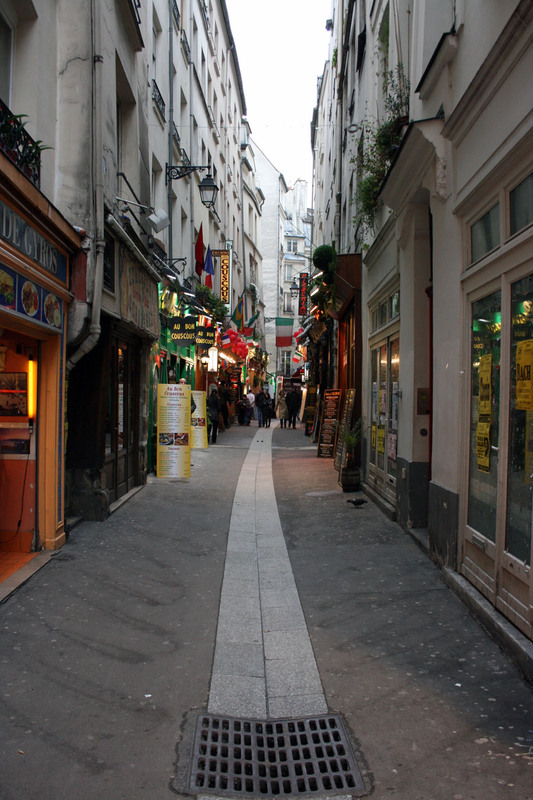 The two streets to explore in the former Bohemia area are Boulevard St. Germain and the Boulevard St. Michel. 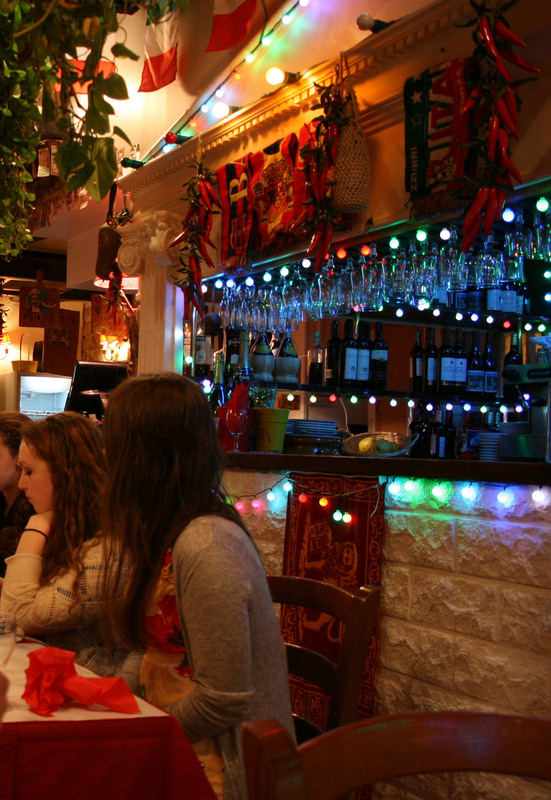 We found an array of restaurants in small alleyways and each restaurateur tried their very best to entice us in with a deal whether it be cheap prices or a free cocktail. We realised that you can negotiate as these people will be happy to deliver or meet you half way. The prices are pretty good for Paris including the large three course menu plans. The menus are openly advertised outside the restaurant, making the choice easy and if you do not like the menu you can move on, it happens all the time. We ate several time in the area and the food servings are certainly large. 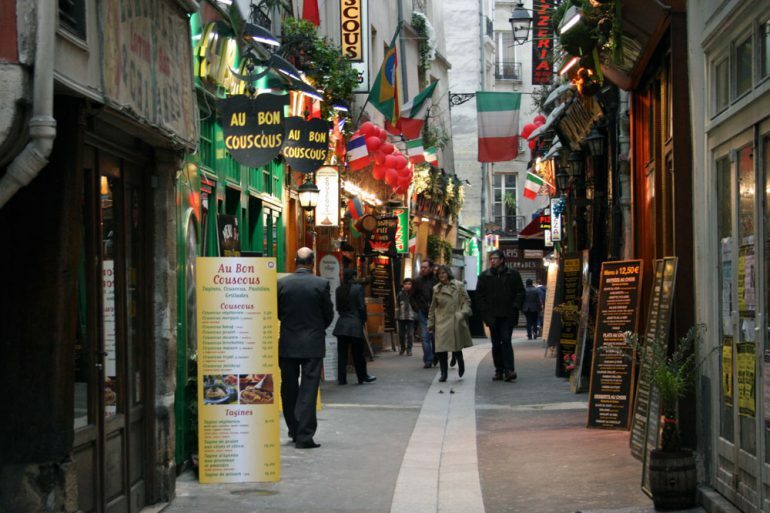 I think it is a different atmosphere in the Latin Quartier, the alleyways are filled with colorful restaurants and music that is not Parisian in any way. At one Italian restaurant we dined at we were given a free cocktail and colourful party hats, I would put the photos up of us in the hats but I am told not too. The area which used to be bohemian and artsy is now a popular place with the tourists. 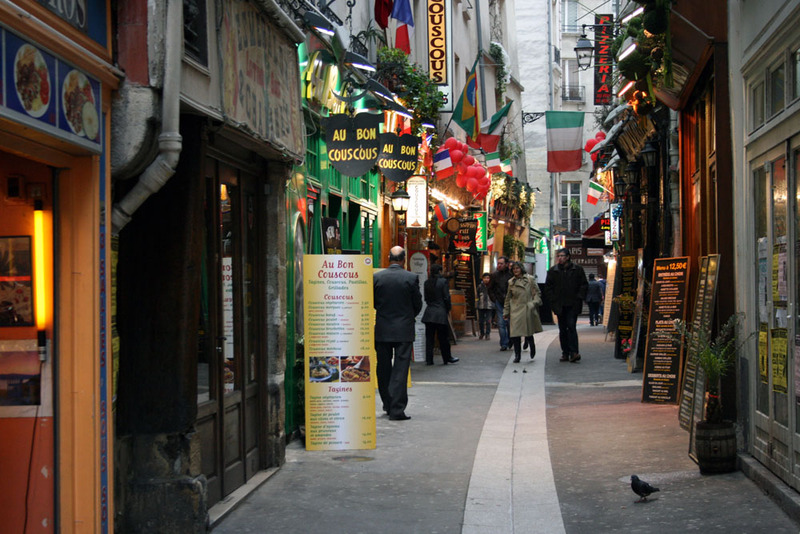 The Latin Quartier also have some cheap souvenir stores with virtually the same products in each and every store. I wanted a small Eiffel tower to take with me home and I had no problems finding one for a few Euros.